Exterior of the new ShopRite grocery store on Fox Street. October 17, 2013. A Philadelphia woman who said she slipped on a strawberry in ShopRite won $21,000 in court last week after video showed an employee tried to sweep it under the rug, or rather, into a dustpan. 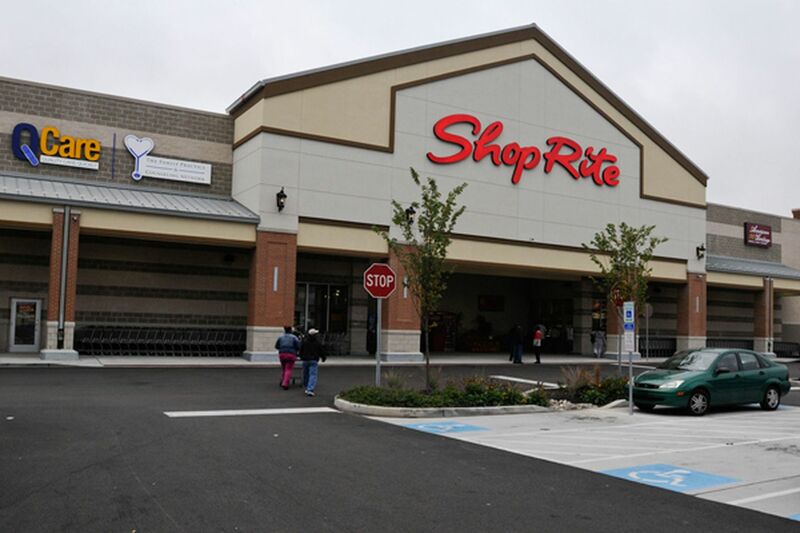 ShopRite will not appeal the court’s decision, a company spokesperson said. The supermarket declined to comment on Common Pleas Court Judge Frederica Massiah-Jackson’s interpretation of the case. In October 2015, Wanda Scott’s feet went up in the air as she turned a corner in the ShopRite on Aramingo Avenue, according to court records. She fell to the floor and landed near the meat counter, and an ambulance took her to the Aria Health Emergency Room to be examined for right shoulder and back pains. Scott sued in August 2017 in Philadelphia Common Pleas Court. She submitted medical records showing she’d received back treatment and takes Percocet and Advil for pain. Among other things, ShopRite argued there is “no proof that anything was on the floor at the time” that Scott fell, according to court records. The store manager testified that she couldn’t find anything on the floor when she arrived. The supermarket presented three videos as evidence. But one of those videos showed there was, indeed, something on the floor, Massiah-Jackson concluded. Within moments of Scott’s fall, an employee swept nearby debris into a dustpan and quickly disappeared into a back room, Massiah-Jackson wrote in her opinion. “Their own video basically bit them in the rear end,” said lawyer Jonathan Kaplan, of the Jenkintown law firm Saffren & Weinberg, who represented Scott at trial. The video wasn’t clear enough to show what, exactly, the employee swept off the meat isle floor, Kaplan said. Scott testified that she heard a customer who called for help say she slipped on a strawberry, Kaplan said. The store manager who reviewed the tape said she could not see anything on the floor, ShopRite spokesperson Karen O’Shea wrote in an email. Whatever it was, the debris was on the floor for 15 to 20 minutes before taking down Scott, according to court records. “The defendant’s employees could have discovered and identified the debris or hazard, and then removed it prior to Ms. Scott’s fall,” Massiah-Jackson wrote in awarding the $21,000.